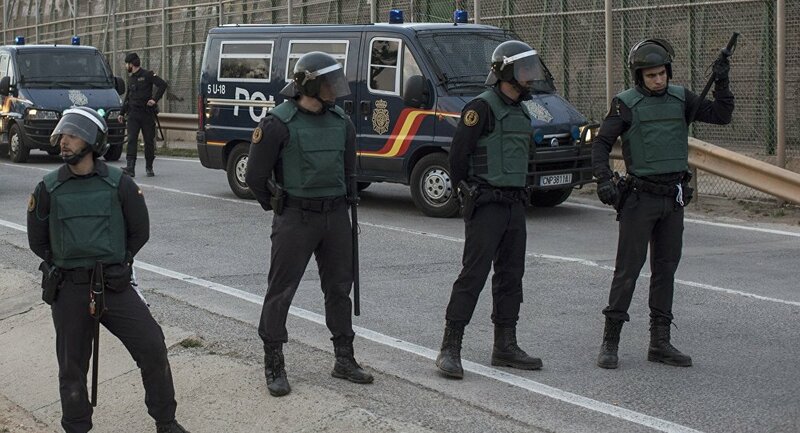 A total of 67 migrants broke out of a detention center for foreigners in the Spanish city of Murcia, injuring five police officers, El Mundo reported on Thursday. MADRID (Sputnik) — After a detainee called for medical help on Wednesday night pretending to feel sick, medical staff and police officers were attacked by a number of the center's inmates wielding knives and fire extinguishers, the media outlet said. Soon after the escape, police apprehended 37 runaways, while 30 fugitives are reportedly still at large.